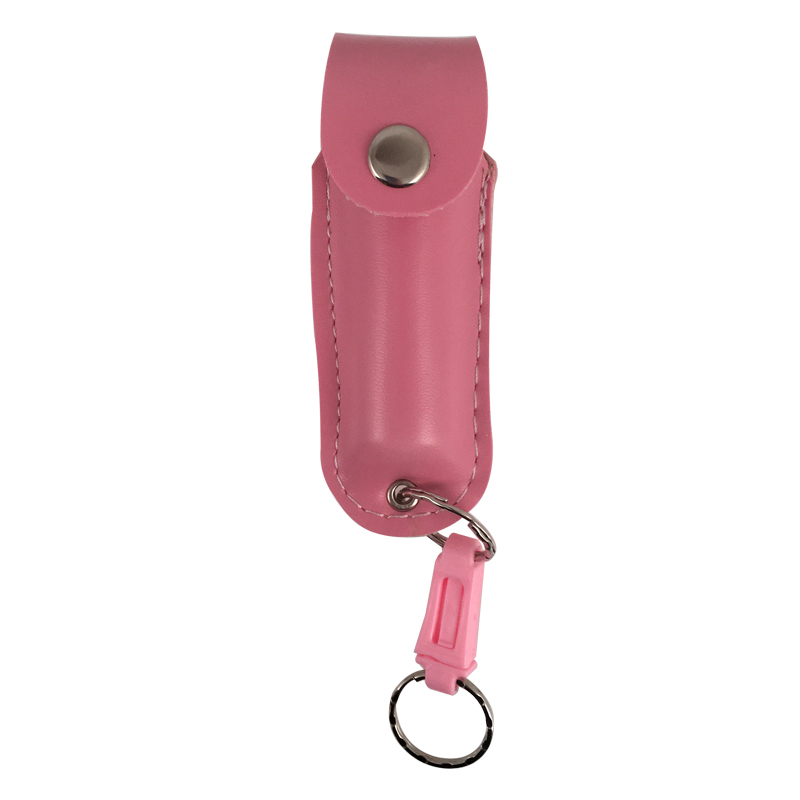 Pepper Shot 10% Plus Flip-Top Canister of pepper Spray with a convenient and stylish pink leatherette holder. Features quick-release one hand operation and UV (ultraviolet) identifying dye. 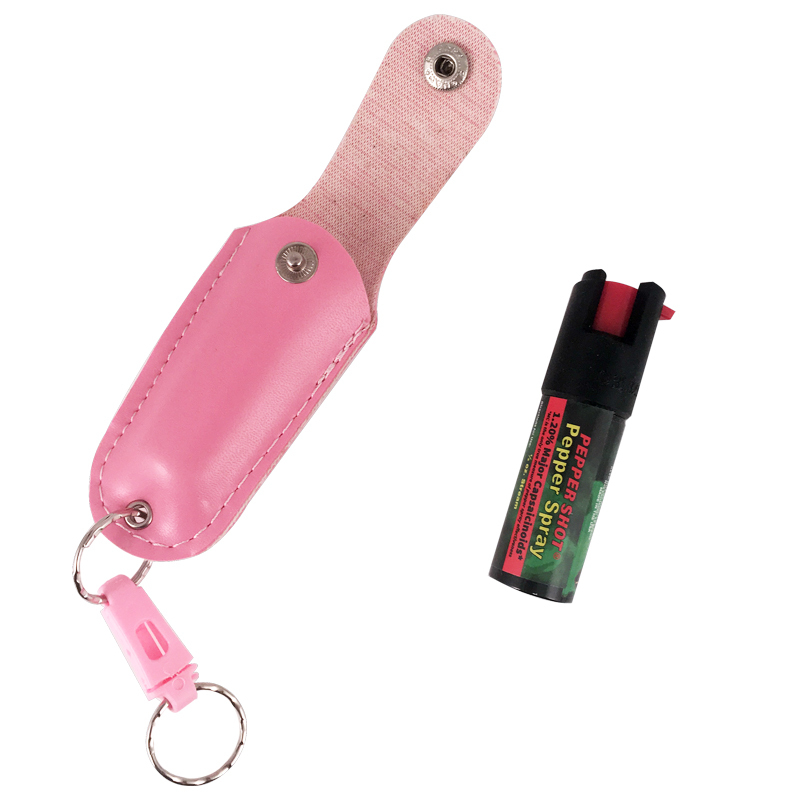 Attach to keychains and bookbags via keychain attachment. 2 million Scoville heat units, 8.5% oleoresin capsicum with an identifying UV dye. Law enforcement strength. The black canister measures 4.75 inches by 1.5 inches. Made in the U.S.A. 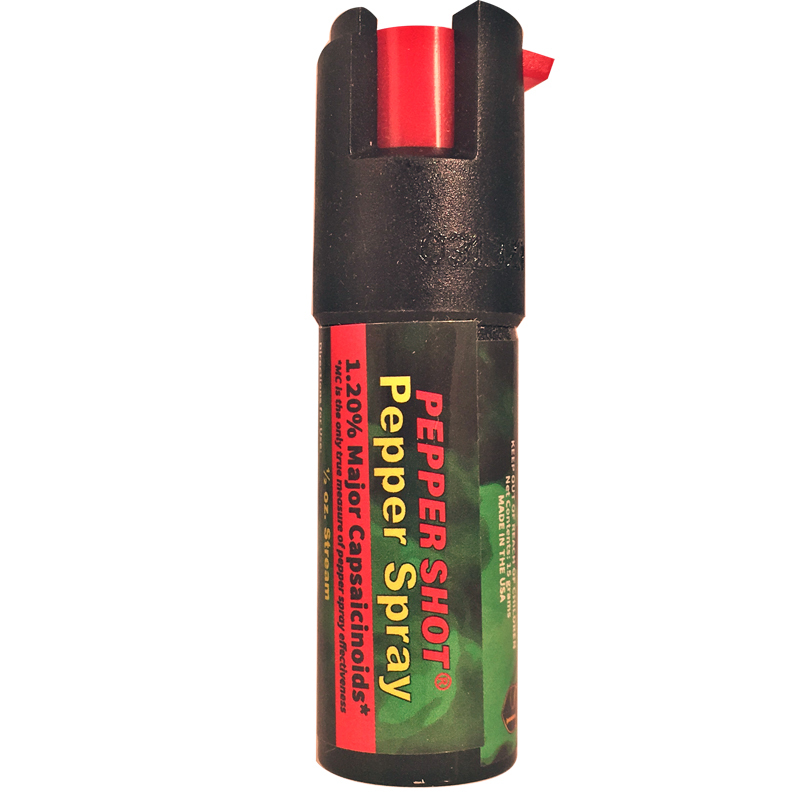 Please be sure to check your state and local laws regarding the use and sale of pepper spray in your area. 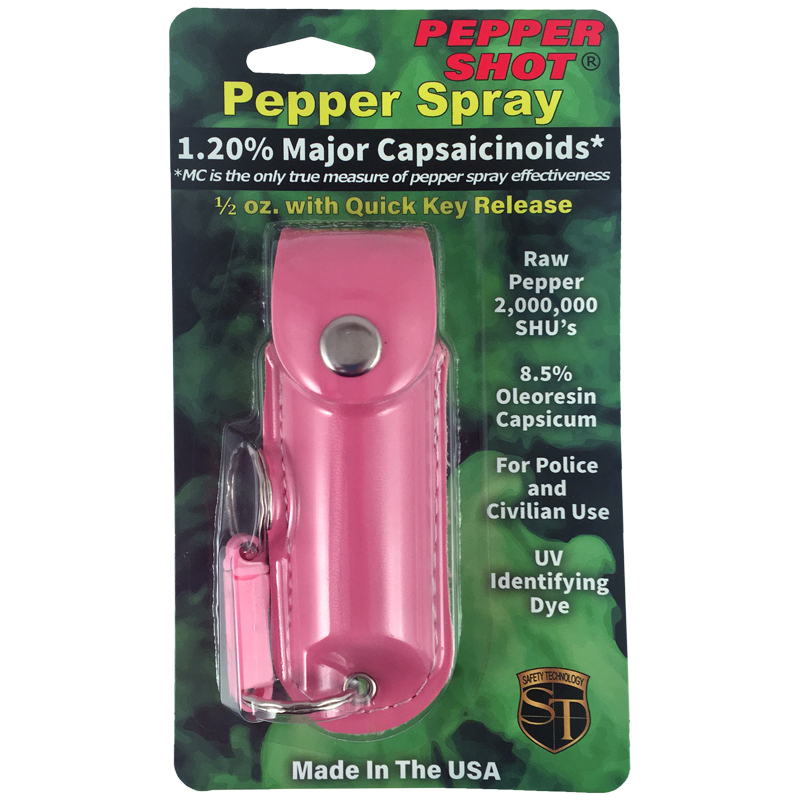 Here is a link to PepperSprayLaws.com to help you in your research.